Directed by Ryan Coogler. Produced by Irwin Winkler, Robert Chartoff, Sylvester Stallone, and Kevin King Templeton. Written by Ryan Coogler and Aaron Covington. Release date: November 25, 2015. 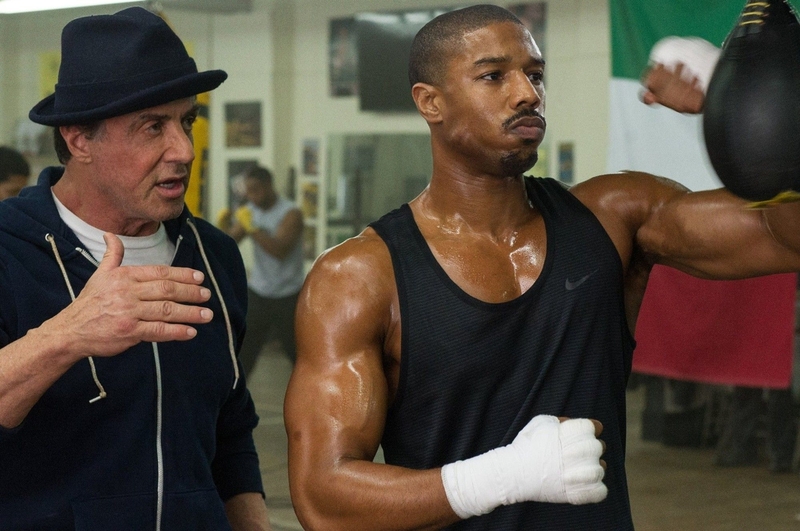 Creed is perhaps the smartest idea one could have when wanting to continue the Rocky franchise. The character is too old to realistically continue his boxing career, so instead of that, we get to follow him as a mentor to the son of his former best friend, Apollo Creed. We get to re-live that relationship, but with the younger Creed. Directed by Ryan Coogler, reuniting himself with Michael B. Jordan after Fruitvale Station, this actually isn't a bad idea - something I never thought I'd say upon hearing that yet another Rocky movie was coming. Adonis Johnson Creed (Michael B. Jordan): A talented boxer and the son of Apollo Creed. Rocky Balboa (Sylvester Stallone): A former two-time heavyweight boxing champion. Now retired and running a restaurant named after his late wife, Adrian. Bianca (Tessa Thompson): A singer who becomes Adonis' love interest. Mary Anne Creed (Phylicia Rashad): Apollo Creed's widow and becomes the foster mother of Adonis. "Pretty" Rick Conian (Tony Bellew): A British boxer whom Adonis wishes to defeat. Assuming you've been following the Rocky franchise since the beginning, you likely care about the relationship that Rocky and Apollo Creed formed. Their rival-to-friends story was one of the best subplots of the original four films. Getting to explore that further in this film is one of the key selling points, at least for me. We'll get revelations about its past history through some of the dialogue, while also getting to see Rocky and Adonis forging their own relationship. Ryan Coogler's first feature-length film was Fruitvale Station, a film which turned Michael B. Jordan into a legitimate star. They re-team here for Creed, which will hopefully allow Jordan to move past a couple of unbelievably awful movies. Jordan is certainly talented, and this will be a film in which he can show off that talent. 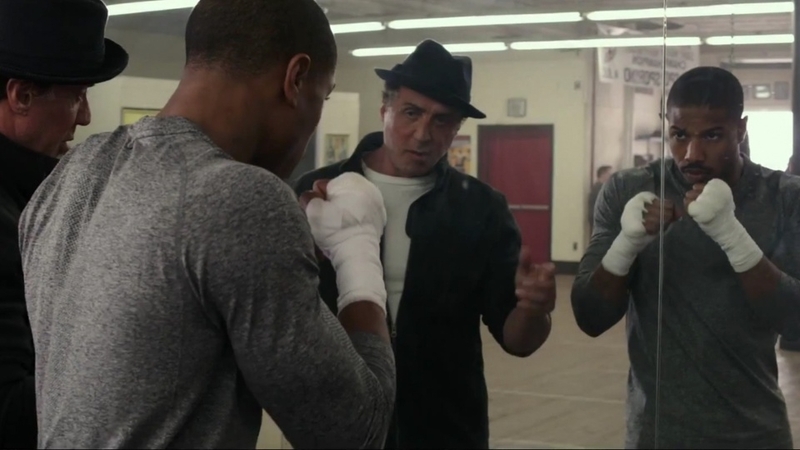 It also might serve as the first real acting Stallone has done since ... probably Rocky Balboa, actually. Finally, the boxing genre might be predictable, but when done well produces some of the best sports movies we have. The first Rocky, Raging Bull, and The Fighter are all great, and Creed certainly has the talent behind the camera to sit among them. It promises to have throwbacks to the previous movies, more than a few heartfelt moments, and hopefully some great boxing scenes. 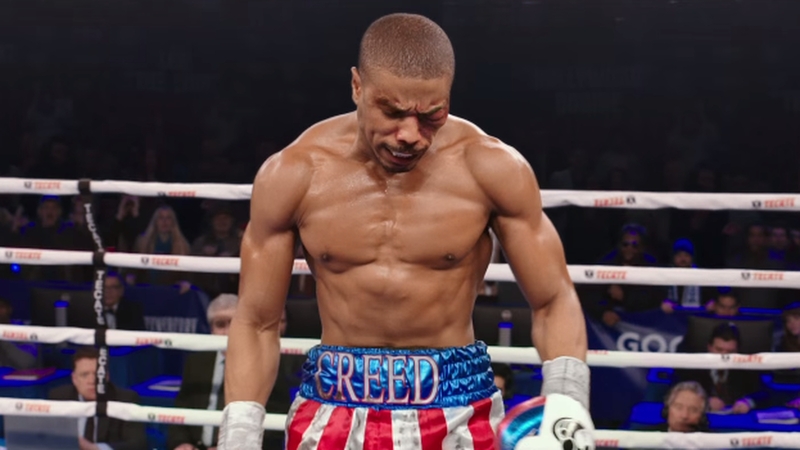 It takes a lot to get someone like me genuinely interested in a sports movie, but Creed looks like one that you shouldn't miss.